The campaign for Remon’s freedom, which originated on social networks and backed up by the hashtag #FreeElCritico, has kept going and will keep going until the young rapper is freed, affirm twitter users, bloggers and activists. On her part, Roseyo Mojena has been victim of detentions and persecution at the hands of the political police due to her activism withing the Ladies in White in Bayamo. The young Cuban Yunior Ramirez Roca is the cultural promoter of the Cuban Youth Movement for Democracy, an opposition group which, as the name suggests, focuses on working with the youth of the island. 28-year old Ramirez also distinguishes himself as a Hip-Hop dancer, or B-Boy, and dedicates much of his time to impart classes to other youths in Havana in this style of dance with the purpose of keeping them away from drugs, alchoholism and participation in State events such as acts of repudiation against non-conformists. The following video was published by the CYMD on its YouTube channel and shows a performance by Ramirez Roca. It is precisely because of these dances and his project to attract the youth that State Security has violently arrested him on various occassions. In the two most recent cases the authorities have deported the activist from the capital to Isle of Youth (originally known as Isle of Pines), his place of birth, despite the fact that he has been living in Havana for several years. During his arrests Yunior has been threatened by police officials that if he continues in the opposition and working with civil society he would be sent to prison. Apparently, his Hip-Hop dance skills turn out to be very dangerous for the military regime of Havana. UPDATED on November 19th 2013: Eriberto Liranza Romero, president of the CYMD, informed via text message that Yunior Ramirez was arrested once again on Monday, November 18th in Havana and is being held in the police unit known as “El Vivac”. As has been reported in various outlets, Angel Yunier Remon Arzuaga “El Critico” has suspended his hunger strike which lasted 27 days and has left him with serious health consequences, nearly costing him his life. The dissident rapper – unjustly imprisoned since March of 2013 – decided to stop his strike after State Security agents “promised” him that they would revise his case. The young musician was arrested after a series of acts of repudiation organized by the State and violent arrests by the political police in Bayamo. He was later accused of “attempt” against an agent’s life, when in reality he was the victim. In prison he has suffered beatings, confinements in punishment cells, threats, and has even contracted diseases such as cholera. Although his case will supposedly be revised, El Critico will continue demanding his freedom and will continue assuming his posture against the dictatorship and in favor of freedom, according to declarations by his wife Yudisbel Roseyo from the Carlos Manuel de Cespedes Hospital in Bayamo, where Remon is still interned. Roseyo has not left the hospital during her husband’s strike, despite the fact that State Security agents have been harassing her and other dissidents. The young member of the Ladies in White said she did not feel fear and although she feels more relief, considering that her husband has left the strike, she pointed out that he is still arbitrarily detained. She declared that she’d keep demanding “his liberation as well as the liberation of all political prisoners on the island”. Meanwhile, the #FreeElCritico campaign will continue until the rapper, who is a member of the hip-hop duo The Unwanted Children, is freed. It will also merge with other campaigns to demand the liberation of all political prisoners in worrying situations such as Roilan Alvarez, Marcelino Abreu and Ivan Fernandez Depestre, all of who are currently on hunger strike. Activists on social networks are convoking a “tweet-protest” using #FreeElCritico starting this Monday, November 1st, at AM in solidarity with Cuban dissident rapper and political prisoner Angel Yunier Remon Arzuaga, known best as “El Critico” form the hip-hop duo The Unwanted Children (Los Hijos Que Nadie Quiso). The call surges while Remon Arzuaga is in “critical and urgent condition” in the Carlos Manuel de Cespedes Hospital in Bayamo due to a hunger and thirst strike he has been carrying out for more than 17 days. His wife, Yudisbel Roseyo, has been in the hospital since then although the authorities to not let her pass to see him, except on one brief occasion. During that encounter, the musician and activist told her to please not ask him to stop the strike. He affirms that he would take his struggle until his “freedom or death”. Angel Yunier, who is also a member of the Patriotic Union of Cuba (UNPACU), has been jailed since March 26th after a series of acts of repudiation against his home. He confronted the State-organized mobs with a discourse, calling on them to abandon their fear and double moral and join the opposition. He was arrested under the orders of State Security captain Julio Cesar as well as other repressors who accuse him of “attempt”, although there is no proof and there has not yet been a trial. 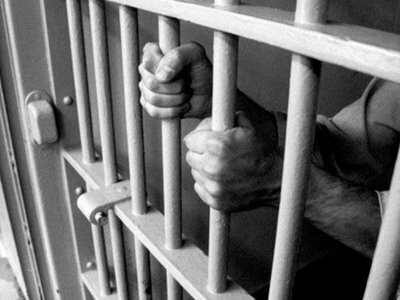 Recently, the regime announced that it asks 8 years of prison time for Remon. On that same day, he was brutally beat (October 15th) in the Las Mangas Prison of Bayamo, where he has spent most of his captivity. Remon was also placed in a sealed off isolation cell for a number of days. It was then that he started his hunger strike demanding his liberation. Yudisbel Roseyo confirmed that Remon was beat once again while already on hunger strike. His health is deplorable, as he also suffers from chronic gastritis and even contracted cholera during the month of July – a period which did much damage to his body. His heart rhythm is very slow and his blood pressure is significantly low. Relatives and dissidents have expressed extreme worry regarding the situation and have said that Remon Arzuaga is very near death. Meanwhile, paramilitary forces of the dictatorship have the Hospital under custody and frequently expel activists and prohibit Yudisbel from seeing her husband. With the hashtag #FreeElCritico Twitter users will demand his freedom, just as they did on Friday, November 1st, with also unjustly jailed Lady in White Sonia Garro Alfonso, using #FreeSonia. Both are prisoners for motives of conscience and have been severely mistreated while behind bars. Dissident Roilan Alvarez, also a detained activists from UNPACU, is also on hunger strike. In the case of Alvarez, his protest has lasted more than 20 days and he has taken a position similar to that of Remon’s – “freedom or death”. His health is also critical. Cuban artists in exile Gloria Estefan (@GloriaEstefan) and Albita Rodriguez (@AlbitaCantante) have retweeted the tweet-protest announcement on their respective Twitter account, as have politicians, human rights organizations and numerous individuals who work towards the freedom of Cuba. We cannot allow any more deaths of young Cubans because of a regime which does not allow them to freely express themselves. Cuba needs the creativity, energy and patriotism of people like “El Critico”. Pass it on, don’t remain silent. 15 days on hunger strike – which then also became a thirst strike as well – have been leaving serious consequences on the life of independent musician and political prisoner Angel Yunier Remon Arzuaga, best known in the Cuban rap world as “El Critico”, a member of the duo The Unwanted Children (‘Los Hijos Que Nadie Quiso’), based in the Eastern city of Bayamo. 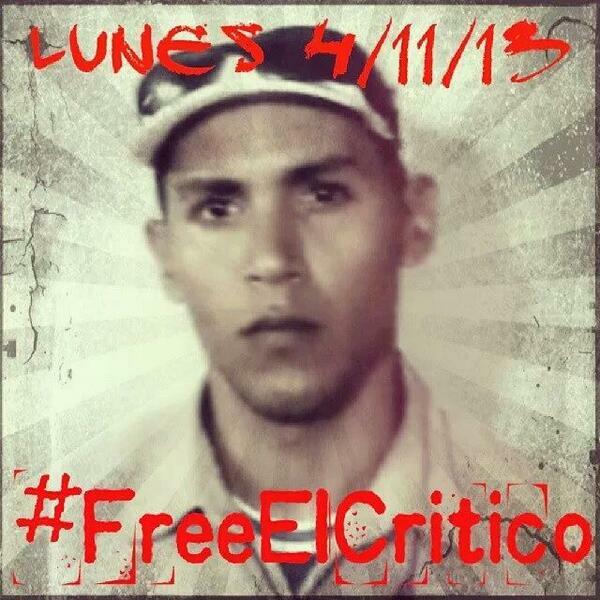 “El Critico” is very weak, he can barely speak, and his vital signs are very low. Despite this worrying state, he has suffered a beating recently at the hands of a re-educator in the prison known as Javier, according to his wife Yudisbel Roseyo Mojena – a young member of the Ladies in White – and Julia Pina, an activist of the Patriotic Union of Cuba (UNPACU), pro-freedom organization which Remon is also part of. The Cuban dictatorship is demanding an 8 year sentence for Remon under accusations of “attempt” although he was the one who was assaulted last March 26th during an act of repudiation against his home. The person in charge of the act of repudiation is State Security chief Julio Cesar, also notorious for persecuting and beating other dissidents in Bayamo.